Proudly announcing the release of my debut album! 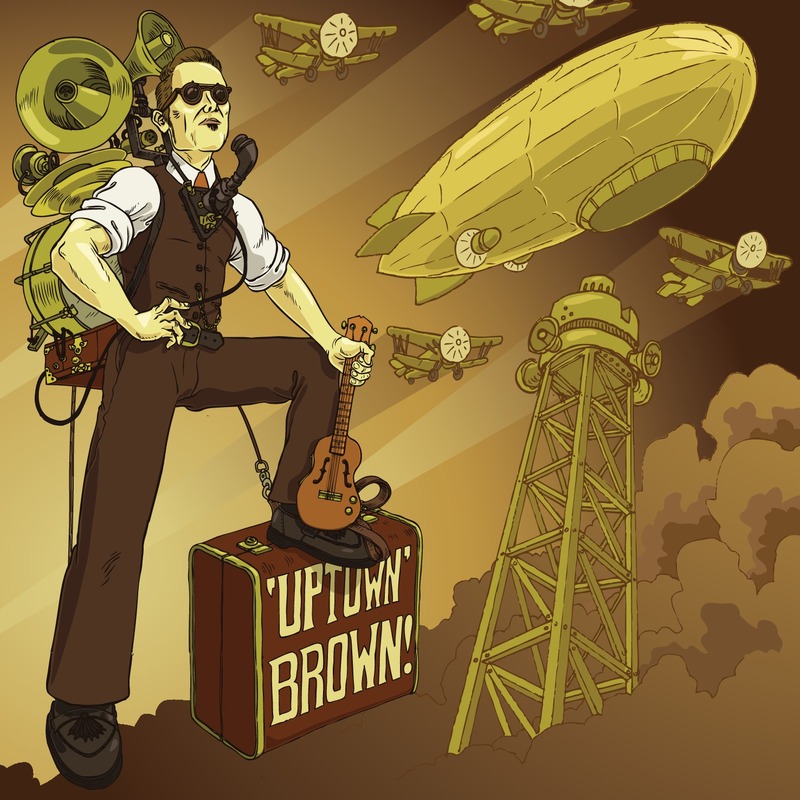 (in patented ‘Dual Mono’ TM) | "Uptown" Brown! Yes please, can you tell me how to order/pay? Finally!!! That’s brilliant! I’m in!! I’ll PayPal the money through tonight. Congrats! My daughter and I have been supporting you at Camby market for ages. Every time I walk up to drop the coins in I look to see if you’ve got a CD for sale. Very happy!! CD, how can I do to order one?!? Hey! Do you have it on vinyl or is it just CD? I saw you at the Sydney Road Street Party and was amazed by what you do. I had to keep coming back to watch. PS Actually, please DONT send a live chicken, I’m having trouble knowing what to do with the ones I have. Saw you at the Children’s Book Festival today, fantastic!!! Would love to buy a copy of your CD, can purchase via PayPal if that’s still your preferred purchase method? (PS So yep, end AU$15 to my workaday alter-ego – mr.andywilliamson@gmail.com). Well you were an excellent MC, especially now that you have told us it was your first time. My wife gave you a big smile when she 1st walked in & noticed you seemed quite chuffed to get the acknowledgement. Your look & sound is so unique, authentic & so fantastical. “Goodtimes Gyratorscope” as it looked quite the contraption. Anyway payment has been sent & we can’t wait to recieve the CD. Hi. I saw your performance in Melbourne. I want to buy your CD but I don’t have paypal. When do you perform again? Could you send me your bank detail? Hey Alex! Thanks for getting in touch – I’ll post off a CD when the money comes thru from Paypal (just make sure the Paypal address and your postal address are the same). In terms of January maybe shoot me a quick email (mr.andywilliamson@gmail.com) and let me know what date you had in mind? Man you were such a treat, blown away and really enjoyed your performance. Thankyou ! My wife will buy your cd ( she use PayPal like a boss). I saw you yesterday in Parramatta, Paul Kelly and you made my night! Any news on if you will be on google music or itunes? We saw you at the whitlesea show last year and since then my partner loves youtubing your performances! He would absolutely love a cd! Please let me know about payment arrangements. Saw you around the city today, that’s a great gig! I didn’t have the money on me to pick up a CD while I was there, but I would definitely love one. Absolutely. Paypal or bootlegged liquor are both acceptable 🙂 If opting for the former send $15 to mr.andywilliamson@gmail.com. Sweeet! Hi! I just paypalled you :). In the message is the email and mailing adress. Best regards and keep with the good music! In the post!! Thanks Juan! Hi there UTB, we loved your show yesterday outside the Arts Centre (had the two boys with me), best thing I’ve seen and heard for ages. We bought your 2nd CD, but is your 1st still available ? And … only 2 CD’s ? I wish you had a few more. If you took requests I’d beg for “Swinging On a Star”. Thanks so much for keeping these songs alive ! !